This is the official blog of All-Pro Pest Control. There are important differences to keep in mind between bees and wasps; that way, if you spot a nest in your yard, you'll be able to identify it and determine if the insects will pose a threat or not. Let's, first of all, distinguish between honeybees and bumblebees. Both have black and yellow (or orange) stripes on their abdomen, though in bumblebees the stripes look more like large blocks. Honeybees are slender and small, while bumblebees are quite large and hairy. The first have a pointed tip, while the second have a rounded tip. Both will sting if provoked, but otherwise, they're harmless. Bumblebees will sting repeatedly, but honeybees have a barbed stinger, which rips away from their abdomen and kills them once they imbed it in their victim's skin. Their stings are not only painful but also capable of causing anaphylactic shock in those who are allergic to insect stings. Both types of bees will nest in trees as well as dry, dark areas in wall cavities, under porch decks, and under the eaves. In addition, bumblebees have a habit of taking over abandoned rodent holes, which are usually found in bare patches of soil. Both bees are most active in the spring and summer, but a bumblebee's nest dies out every winter while honeybees remain active thanks to the stored food in their hives. This means you'll often find worker honeybees in the winter. The three wasps to watch out for are paper wasps, yellowjackets, and hornets, especially the bald-faced hornet. Wasps can be distinguished from bees by their hairless, elongated bodies - they have a slender waist separating the torso and abdomen - long legs, and bright yellow-and-black stripes. The bald-faced hornet is different in that it's almost entirely black; its face is a solid white. All three are naturally aggressive and will sting repeatedly. Their nests have a gray, papery appearance because they are, in fact, made from a combination of saliva and wood fibers. Paper wasps make nests that are shaped like upside-down umbrellas, and hornets make ones that are shaped like footballs. You can find them in the same areas as you would find bee colonies. Yellowjackets make relatively shapeless nests but mostly live under sheds and in rodent holes. You won't see them in the winter since, like bumblebees, they die off then. At All-Pro Pest Control, we know how important these insects are to the environment; bees and wasps are both pollinators, and wasps even eat agricultural pests for us. Therefore, we only consider extermination as a last resort. Give us a call today to schedule an inspection, and we'll provide a free estimate for the necessary service. 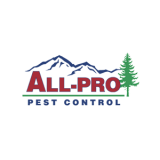 All-Pro Pest Control is a family-owned and operated Seattle pest control and extermination company known for our outstanding customer service and customer relations. Monday, 04 June 2018 How Much Damage Can Termites Actually Do?